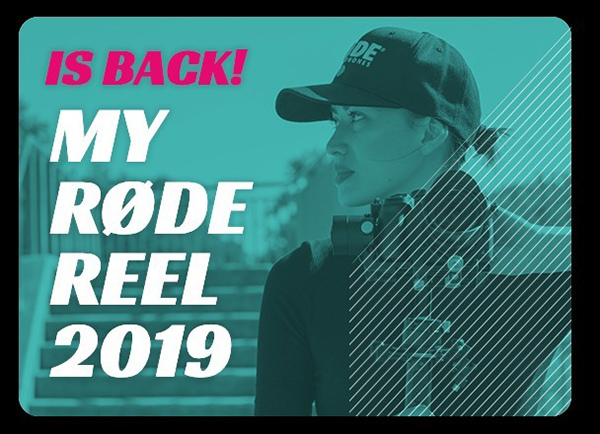 Entries have opened for the sixth My RØDE Reel filmmaking competition, which offers prizes across 28 categories. The competition is open to everybody. Entrants must submit a three-minute movie in any style with an accompanying behind-the-scenes video which shows the use of RØDE gear. Entries close on 28 August, 2019. This year’s competition has attracted one million dollars’ worth of prizes, including RØDE microphones, Blackmagic Design cameras, Zhiyun gimbals, Rayzr lighting and other gear to help budding filmmakers produce their best work. Click here for more information.